One of my favorite real-life Spinal Tap moments is when Uriah Heep vocalist David Byron announces on their 1973 live album that the next song features keyboardist Ken Hensley on the “Moog Simplifier.” This was eleven years before the film so you know it’s legit, not like some band today cheerfully calling out “Hello Cleveland!” when they know perfectly well they are in Pittsburgh. The Heep were a solid second-tier English hard rock outfit of that era, never quite achieving the full thunderdome aura of Zeppelin, Sabbath or Deep Purple. But they seemed like decent blokes and were quite capable of slugging it out night after night in the mid-sized venues of those halycon days. They could serve up the straight-ahead stompers like their hit “Easy Livin’”, break out the Simplifier for grandiose proto-power ballads like “Circle of Hands” or get the crowd shaking with a then-trendy 50s rock medley. 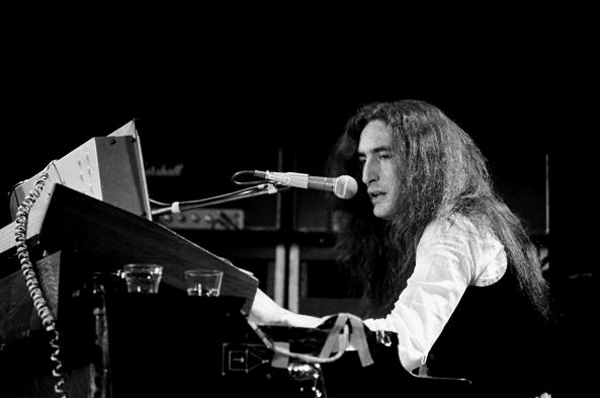 Ken Hensley, seated stage left at his Hammond organ piggybacked with a Mini-Moog, was maybe overshadowed a bit by lead guitarist Mick Box and the dramatic singing of Byron. Yet in a way, he was the band’s MVP. The Hammond was a big part of their sound but he could also play a mean guitar when called for or take the occasional lead vocal; above all he was Heep’s principal songwriter. So it’s little surprise that he tested the solo waters early. In 1971, a year when U.H. released two studio albums, Hensley found time to repair to Germany for a one-off project called Weed, recorded with a local band there called Virus. But it’s a Hensley solo LP in all but name with Ken doing all guitars, keys and vocals. Leading off is a great spring-has-sprung number called “Sweet Morning Light.” Since at least the time of Beethoven’s “Pastoral” symphony, this theme has almost always been a cue to employ a light touch. Here we get a cobweb-clearing blast of noise before the Teutonic central riff kicks in. Winter is over by decree of the metal gods! 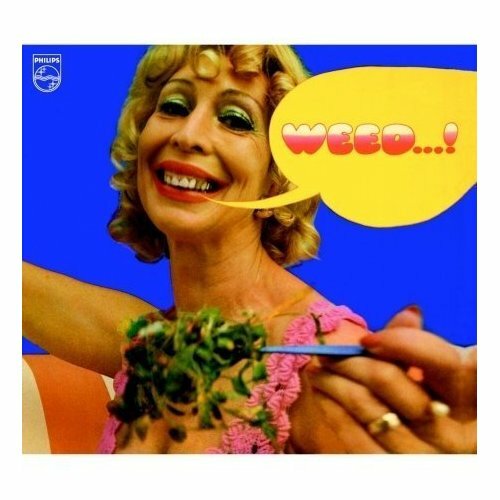 All in all, “Weed” is a pretty dope album, if you will. Though he doesn’t stray very far from the Heep template, Hensley is a confident performer who lays it all out 70s style. There are rockers, a brooding acoustic guitar number (“Lonely Ship”), a piece that starts with a hushed piano solo before the band barges into the room (“My Dream”), the Procol Harum-ish “Before I Die” and the title cut, a vigorous jam-band instrumental. Yet in 1971, Uriah Heep’s most successful phase lay just ahead of them, so the heels were cooled a bit on the solo work (though 73’s “Proud Words on a Dusty Shelf” is also recommended). At the end of the 1970s, with the group’s classic line-up splintered, Hensley left U.H. and entered into various bands and did further solo records. But after David Byron’s death in 1985, Hensley went into semi-retirement, eventually re-emerging and collaborating with a long line of British rockers with whom he came up with in the day: the guy would even go on to write a my-life-in-music rock opera called “Blood on the Highway.” Heep were always an item on the Continent (a Cold War-era Bulgarian hippie movement was named after their 11-minute warhorse “July Morning”) and Hensley has found recent success summer gigging in places like Norway where genres like progressive metal flourish. Apparently, being Big in Scandinavia has replaced the old Big in Japan fallback once enjoyed by the likes of the Runaways, the New York Dolls and, for that matter, Spinal Tap. “Lady in Black” is one of Hensley’s most notable turns as lead singer with Uriah Heep.